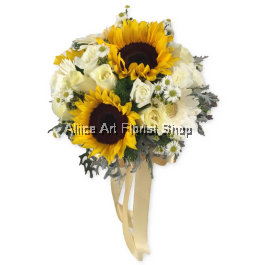 The walk down your wedding aisle can be the most intimidating yet romantic path one can take. 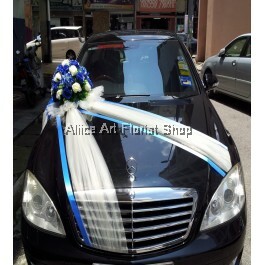 Weddings are for some the most important event in their lives if not the most memorable. 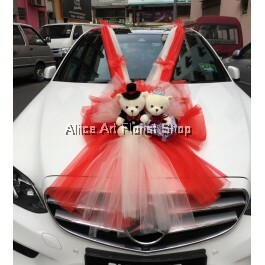 When two individuals take their vows and put on rings, they are forever united in their vena amoris. 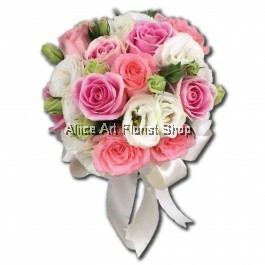 What better way to personify your affection than beautiful and lush wedding flower arrangements? 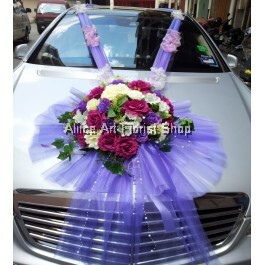 Aliice Art Florist Shop has a selection of handcrafted floral arrangements that adds elegance and colour to any wedding. 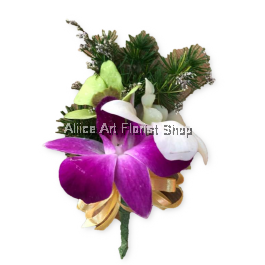 Our wide selections of flowers offer those tying the knot with a huge variety to choose from. 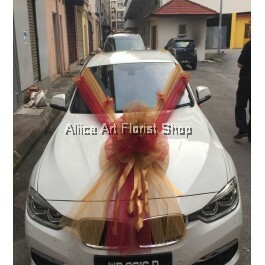 You can share your joy with floral wristbands for guests or if you are feeling more adventurous, pimp up your wedding ride with a lavish floral decoration. 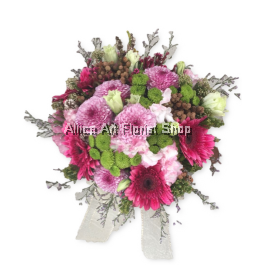 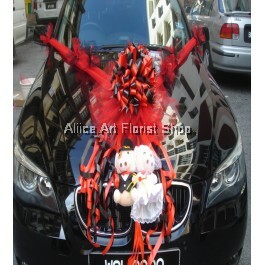 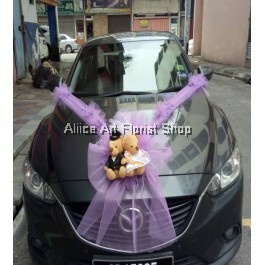 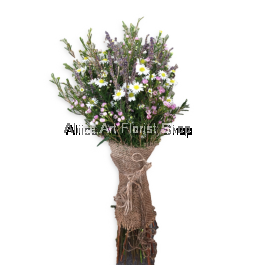 Aliice Art Florist Shop is also the one-stop place to go to if you are looking for a gorgeous looking wedding bouquet in Malaysia. 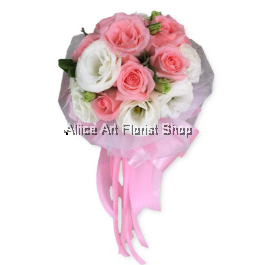 From classical poetic roses coveted by many, to the modern contemporary baby breath, you will find one that suits your personality and style. 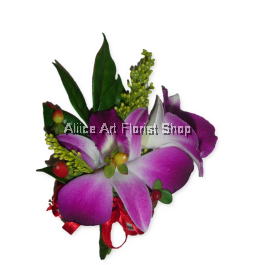 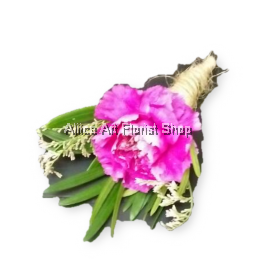 You can even customize your own bouquet with the blossoms of your choice to make it truly special and one-of-a-kind. 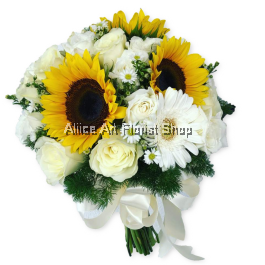 For couples looking to make their special day just a tad extra special, we at Aliice Art Florist Shop are here for your wedding flower arrangements.